There should only be one teacher in a social dance class. We can all reason that multiple teachers trying to impart knowledge and manage a class at the same time would cause confusion and disruption… right? Unfortunately, all too often the teacher has to compete with well-meaning students trying to assist or correct other students during the class – these are the backseat teachers. If you haven’t ever been a backseat teacher yourself, you’ve probably come across one in a class. You will almost definitely annoy or upset the person you are ‘teaching’. They could think you’re a know-it-all; you could actually have years and years of dance experience, but they probably won’t know that. As far as they’re concerned they paid to be taught by the person who is taking the class, and nobody else. You should also bear in mind that not everybody cares if their technique is spot-on, some people are happy just to come to class, get by with the steps and have fun while doing it – and that is their right. It could also be that the person you are trying to help is sensitive about their dancing. If this is the case, the likelihood is that no matter how nice you are about it, they will feel upset when you correct them. 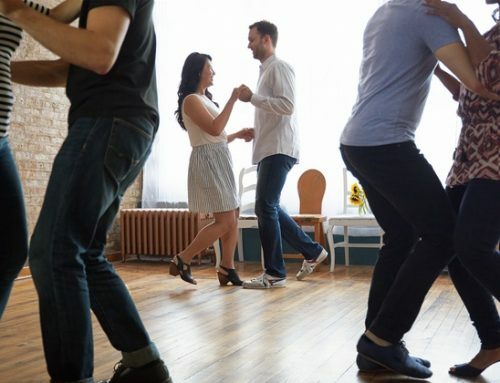 It may make them reluctant to dance with you and could even put them off dancing altogether, which I think we can all agree would be a terrible shame. Even if you are confident that you will not cause annoyance or offence, you should still leave the teaching to the teacher. You may think that they haven’t noticed where people are going wrong and that you’re helping them out but trust me, they have… and you’re not. Backseat teaching disrupts the flow of a class. Sessions are usually run to a strict time limit and have often been purposefully designed around specific techniques or learning aims which the teacher has chosen to prioritise, for the benefit of the students. So don’t assume that what you have to say will add value. Even if it does, you are still taking attention away from the teacher and making things run less smoothly. What we’re basically saying here is that backseat teaching is an all-round no-no. Try and be aware of your behaviour in class and do your best to avoid you and your good intentions falling into the backseat teaching-trap. Equally speaking, if you are a more experienced dancer and one of the less experienced students asks you for help during class, we’re not suggesting that you ignore them completely! If this happens to you, try quietly suggesting that they direct their question towards the teacher at the next opportunity.